The National Watersports Festival is the largest events of this kind in the UK. It is brought to you by the UKWA and it is dedicated to recreational, intermediate watersports enthusiasts. Its aim is to transform the spectator into competitor. The NWF is about having fun most than anything else. Apart from the various Windsurfing, Kitesurfing, Kayaking and Stand Up Paddle competitions, the festival hosts cool parties and many other entertaining moments. Here’s what the 2013 National Watersports Festival includes: 1. Fun races for all ages, abilities and types of equipment – with prizes galore! 2. Taster sessions for beginners. 3. On-water and land-based coaching clinics in all disciplines, conducted by top UK coaches. 4. The largest trade show in the UK, showcasing the latest equipment from top manufacturers. 5. Industry presentations and the opportunity to demo the latest equipment. 6. Meet and chat with the UK’s finest professional team riders – and even race alongside them! 7. The legendary beach parties, featuring live entertainment, on both Friday and Saturday nights. 8. Free car parking and camping is included in the competitors’ entry fee for the duration of the festival. 9. Watch – or even win the chance to enter – the unique, floodlit Night event. 10. An amazing weekend celebrating our fantastic sports with hundreds of like-minded enthusiasts! 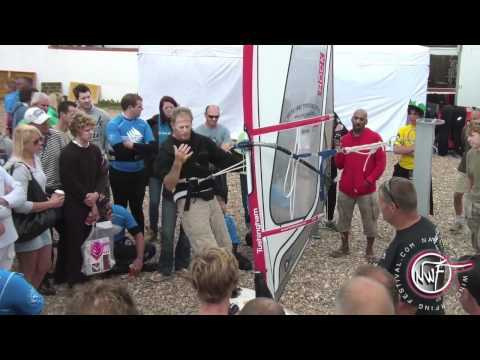 The National Watersports Festival takes place in Hayling Island between the 31st of August and 1st of September. To register for the competitions and find out more details, please visit the official website.